Father’s day is just around the corner. Give your favorite dad a great gift, plus learn some frugal car washing tips. Dad will be so surprised. By using some everyday items and a little common sense, you can clean your car better than your local body shop ever could. Father’s day is just around the corner. And let’s face the facts, that we are all busy Mommas! We do want the men in our lives to feel special and needed, but what about finding the perfect gift is really the shortest time possible. For me, it always means planning Father’s Day in less than two days. 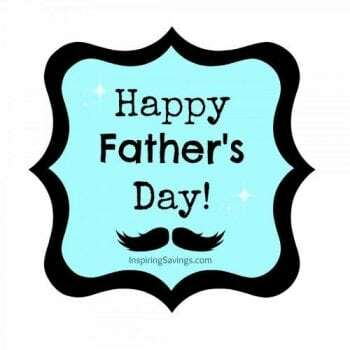 He means more to us than two days of planning, but after schlepping the kids from gymnastics, soccer, Tai Kwon Do, keep the house clean and oh yeah, what about dinner; it is hard to just find time to sneak out of the house for some daddy shopping time. I did say this was for Father’s Day and not Mother’s Day right? What would he really like for Father’s Day? It could be a real drag to figure out the best gift for your dad. But no matter the budget, we’ve got a great idea for you and some frugal care car tips. This year we are doing it differently. Yep, we are planning ahead and heading over to Walmart to grab Armor All Car Care Essentials Bucket. One point for mom. 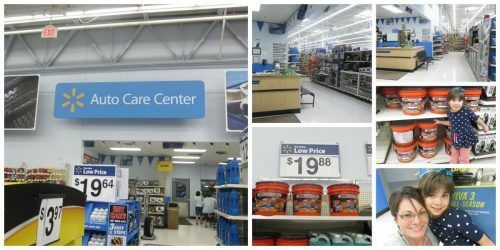 Today, I took my little lady on over to help me search out the isles of Walmart for our Armor All Car Care bucket. Plus had some fun taking a few selfies. We are always in search of deals and who wouldn’t be? As a mom, it is our job to help our family save money. On top of this Armor Car Care Essentials Bucket is only $19.98 with a value of $30 in car care products. These products are great for helping you preserve and protect the value and appearance of your car. What I love most about this car care bucket is it contains everything you need (excluding water) to get your car wash started. It even contains the sponge and towel for washing/drying your car. I do have to say (Product PLUG) – I was amazed after my little Emi squirted the tires with the Armor All Quick Silver Wheel & Tire Cleaner (included in this 10 pc bucket). After she did her job of spraying every inch of the tires, I hosed down the tires. WOWZA! No scrubbing at all and all the road wear was gone. Taking your car to a professional car wash is always an option, but if frugal is the goal, follow these tips to do it at home. We all know that washing your car at home is less expensive than taking to your favorite car wash. 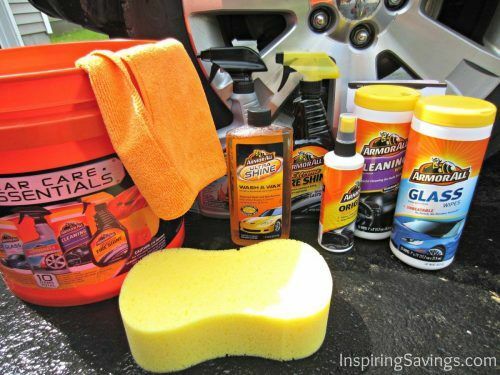 In fact, you can spend up to $9 and up for just getting the outside washed, but with coupons and pick up the Armor products you need from Walmart can save you a ton. Plus you can continue to reuse those products for future car washings. As mentioned above you can spend well over $9 every time you take your car to a professional car wash service. By purchasing multi-use cleaners, waxes, etc can have you loads of money each year. 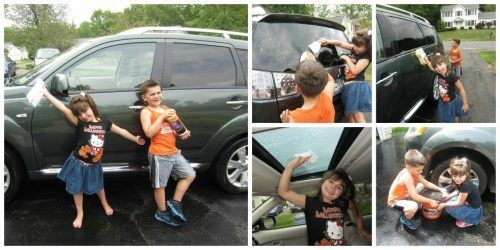 Here are my cuties washing Dad’s car. They had so much fun. Guess who was in charge of the hose and getting the car rinsed and spraying the kids? 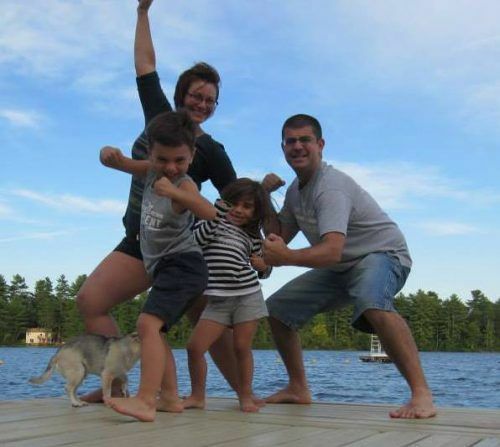 Yep, you got it, this mama. Try to wash your car in the shade and make sure the engine is cool. A hot surface will dry the water too quickly and leave unattractive soap spots. If you splash wheel cleaners or dirt onto your vehicle, you can simply wash it off as you wash your vehicle. If you leave the tires until last will more than likely have to rewash your car around the wheels. Making more work and using more water than needed. Use the hose only when needed. For instance, using it to wash and rinse your car instead of leaving it on for the duration of your car wash. Plus using a bucket of water & soap instead of just using a soapy sponge and the hose. Try using crumpled newspaper instead of paper towels to clean your vehicle windows. The newspaper is more durable than paper towels, doesn’t leave any paper residue like some towels can, and it’ll otherwise just be heading to the recycling bin. Don’t use soap not made for your car’s paint. Using household cleaning agents like hand soap, dishwashing detergent, or glass cleaner on your car and strip the protective layer of wax and ultimately damage the paint of your car. Costing you more money in the end to fix the problem. 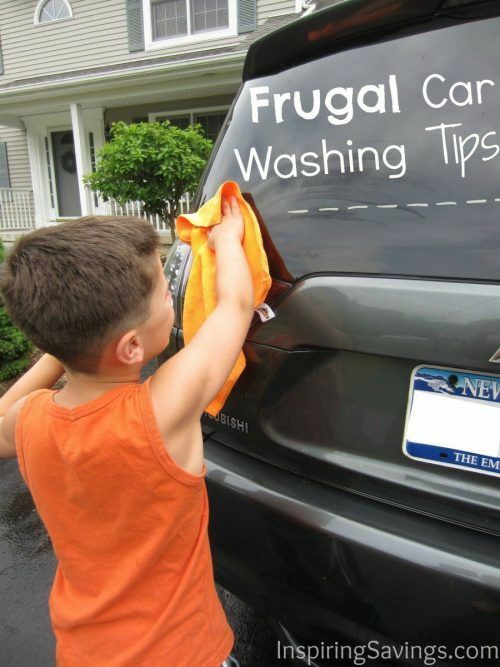 Do you have any frugal car care tips?